Published: 2013-06-14, by Ana Gracia. 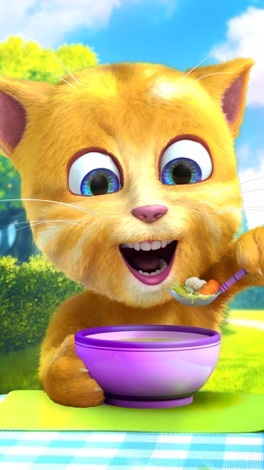 "Help kids finish their meals"
It's Ginger birthday and your kids will want to celebrate her fifth anniversary with her! 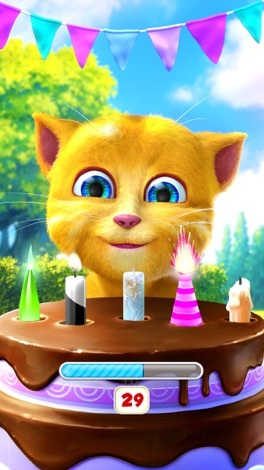 In this Talking Ginger app, you can feed Ginger, play with her, blow out candies and do many other birthday tasks. 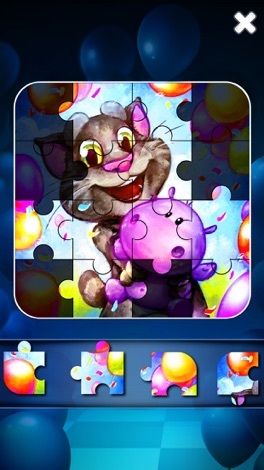 Progress through the game and keep unlocking new puzzles to play. The usual features are also included: Ginger will repeat your words, you can easily poke her and watch her reactions. 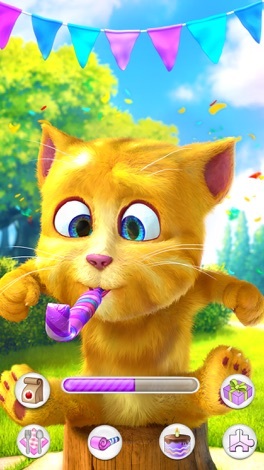 Out Fit 7 Ltd. is the developer of this saga and the new Ginger app for children. It includes in-app purchases so make sure your kid doesn't buy anything by accident. 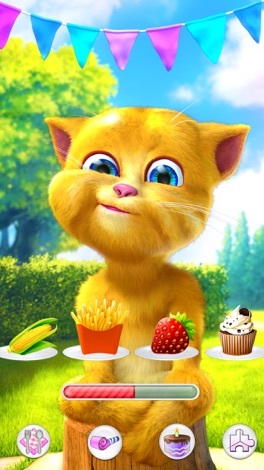 Good graphics, cute animations and a fun entertainment for them!